Energy saving. Reduce the number of luminaires needed, providing excellent luminaries efficacy and more light where you need it. .Distributor lampu led explosion proof di Indonesia, lampu led explosion proof indonesia, distributor lampu led explosion proof di jakarta, explosion proof lampu led jakarta, Distributor lampu jalan led explosion proof di indonesia, lampu jalan led explosion proof Indonesia, distributor lampu jalan led explosion proof di jakarta, lampu jalan led explosion proof jakarta, Distributor led lighting explosion proof di indonesia, led lighting explosion proof indonesia, distributor led lighting explosion proof di jakarta, led lighting explosion proof jakarta, Distributor led floodlight explosion proof di Indonesia, led floodlight explosion proof indonesia, distributor led floodlight di jakarta, led floodlight explosion proof jakarta. 2. Anti- glare, reduces glare in applications where the user may have direct visual contact with the light source. 4. OSRAM LED source. 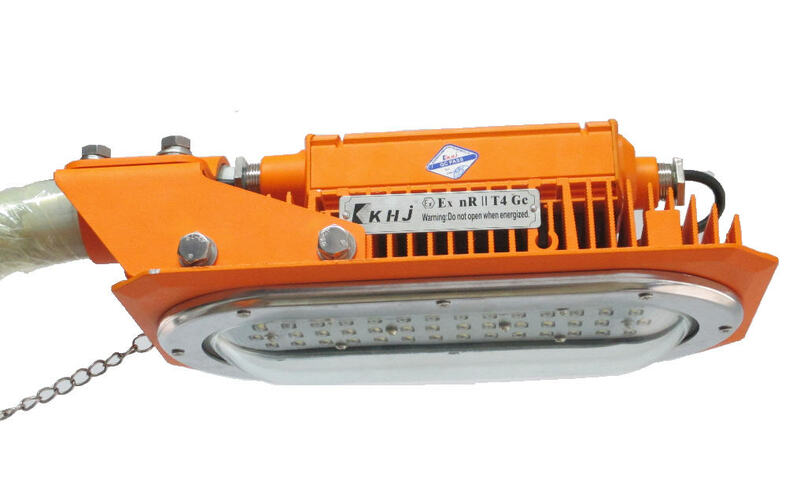 High efficacy lumen output and high CRI. 5. Driver module assembly High efficacy LED drivers are designed to provide reliable operation in even the harshest environments. 6. High strength aluminum alloy housing, can endure 20J impact. IP66, can be used in wet locations, robust construction suitable corrosive applications. 7. Adjusting plate, customer can adjust different angles. 8. 80W/120W/160W/200W/240W available. Optional luminous intensity distribution for different applications.